You know how important your blog is for driving site traffic. Not only that, but your blog shows your industry thought-leadership. But is your blog writing cutting it? Here are ten blog writing best practices for you to keep your content sharp as a tac. When I first started blogging, I knew the best way to generate visitors was through search. After all, it’s how I found all my content. I had no idea how search engines ranked content. You know the keyword or topic you want to target before you even begin writing. So make sure you’re mentioning the target keyword throughout your blog content. This is a blog SEO best practice. Search engines pick up on strings of keywords you mention throughout your blog. Which is most likely the topic you’re discussing. Mention your keyword in your headers, subheaders, paragraph text, and images. Want to learn about optimizing content for search engines? 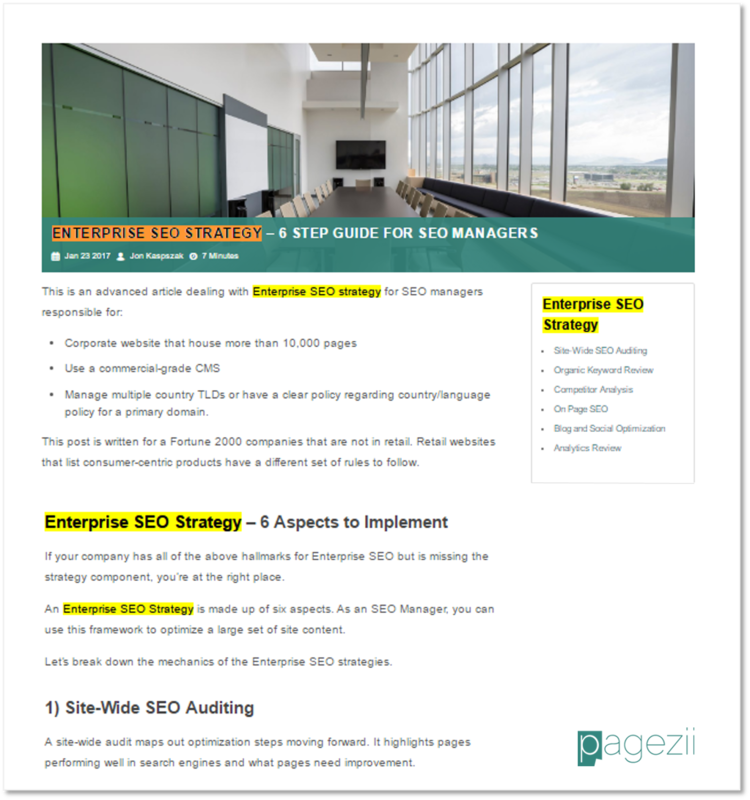 Then get your hands on this on-page SEO checklist. When a visitor comes to your blog, there looking for something. A solution to a problem, new techniques, or an entertaining read. Whatever the case is, write a detailed post for the visitor. So, what does this best practice translate to? Write content that’s at least 700 words in length. This gives you enough blog writing room to go into detail on a topic. Because your blog caters to a specific need, you have to deliver with “meaty” content. It boosts search engine rank. For one, longer-form content gives you opportunities to mention your keyword (see blog writing best practice #1). And two, search engines want to provide value to users. This means showing results that meet the searcher’s needs. Have you heard of cognitive load? When it comes to our blogs, it means how much mental effort you need to process content. And because readers are learners, your goal is to lower cognitive load. AKA make your content easy to consume. One way is to break up your content with headings and subheadings. Headings and subheadings act as a map of your blog. It breaks up walls of text and sets the stage for new ideas. Use headings and subheadings when introducing new ideas. Be creative. Have fun writing detailed headings. It tells the reader exactly what to expect. Try to mention your target keyword when possible. It lowers the mental processing for readers. But why does this technique work? Sometimes, when you try to make a concept clear, more words does the opposite. So what do you need? An image. An image breaks up page content and shows readers you’re making the effort to explain ideas. It’s also one of our blog writing best practices because it affects blog SEO. Adding your target keyword to the image via ALT tags is a search engine ranking factor. So make sure your using images to break up content and boost SEO performance. You have to think of a blog as a piece of business writing. So to do this, make sure you’re providing your readers with next steps to take. This comes in the form of a call-to-action. But this blog writing best practice requires technique. Keep it relevant. If you’re discussing one idea and trying to send readers somewhere unrelated, odds are you won’t see users taking the next step. Make your CTA enticing. 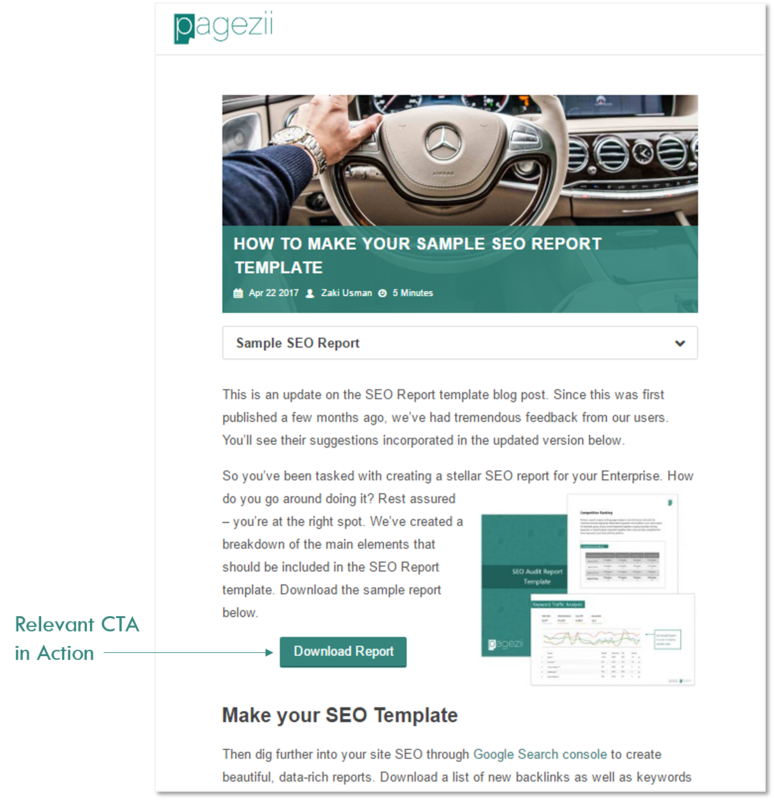 Build up the CTA and use a button or wrapper to give users a sense of high-quality. When we talk about grammar in blog writing, there’s room for discussion. Because blog writing is informal and conversational. So this means you can bend the rules. Watch out for spelling. No matter how informal your blog is, spelling errors are no good. Use proper punctuation. But don’t be afraid to add variety. Ask a question and use exclamations if you want to emphasize a point. Let’s stick with the idea of grammar. I just mentioned how a blog is an informal piece of writing. It’s conversational. And when we’re having a conversation with someone, we speak to them directly. So treat your blog writing the same way. As a conversation. This means using proper pronouns like “I” and “You”. This is good practice because it engages the reader. Which is the name of the game when it comes to your blog. So when a blog caters to my reading style, I’m hooked. The writing resonates with me, and I want to engage. What I’m talking about here is communication style. And to understand your communication, use Pagezii Reader Profiles. 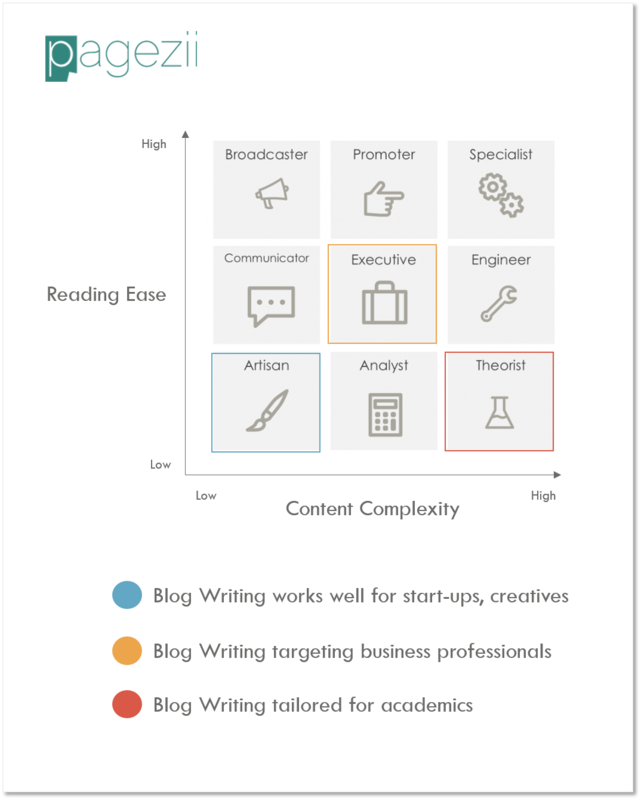 Blog content is broken down by reading ease and content complexity. So depending on your writing style, you’ll fall under one of the following nine categories. You can get this data using Pagezii Blog Pulse Report. 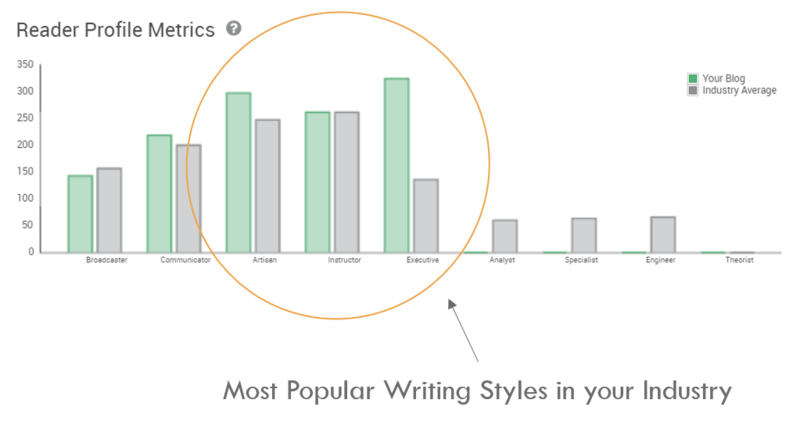 After that, find out which style of communication style your readers prefer using Reader Profile Metrics data. Have a look. Make sure you’re keeping readers glued to your content with a writing style that resonates. You want to show your readers you’re an industry leader. But you can’t do that if you’re not relevant. This is why you need to focus on trending topics. And trending topics doesn’t mean you’re commenting on latest news in your industry. It means your focusing on topics that have become popular in your industry. A new technology, popular techniques, or topics that stand the test of time. This shows your reader you know the state of your industry. And because you’re writing about these topics, you’re ahead of the curve. And to cap off our blog writing best practices, try to spark a conversation in the blogs comments section. I first saw this technique in action when reading my favorite blogs. After finishing posts, I’d see how much comment engagement they were getting. It was amazing. But how do they get this kind of traction? Well, first, the authors were industry leaders, so their content will always spark conversation. But they also did something else. They asked readers to share their thoughts. Which is a blog writing technique we should all use? In the next 30 seconds, you’ll these this best practice in action at the end of this post. We all know the value of a blog. Traffic, influence, lead-generation. The list goes on and on. So make sure you’re using best practices to get the job done right. Is there any other blog writing best practices we did mention? Make sure to leave them in the comments below.